I want to reconnect with my blogging roots. My Cozy Book Nook began in 2009 as a book review blog. I was thrilled to find a community of like-minded people who loved to read as much I do. Since I’ve never participated a book club, this was an opportunity to connect with others and share our current, favorite, and not-so-favorite books. I was an active participant in this blogosphere until late 2010 when “life” began crashing in. Not only did I have little time to read, I lost my desire. Since retirement, however, I have rekindled my literary passion. While my TBR list used to weigh heavy toward non-fiction, I have now started to balance my reading by adding fiction as well. And I want to share my reading experience with others. The problem is… book reviews are difficult and time-consuming to write, which steals some of the joy. For several weeks now I’ve brainstormed how I might simplify the process and return to the book blogging community. I think I might have stumbled upon a solution. Staci of Life in the Thumb used to host the weekly meme, Six Sentence Saturday. A brief Google search indicates it is no longer active, but I still like the concept: review a book in six sentences and give it a rating. Sounds simple enough. I’m not sure I can commit to posting every Saturday (at least not right away), but I do want to catch up on a few 2015 book reviews and then purpose to stay current. I’ll let you know how it goes. As I shared last week, I’m learning that revising a work of fiction is a lot slower than revising a personal essay. There is SO much to consider and infinite possibilities. Two weeks ago I focused on character personalities… this past week I focused on plot. The original draft not only discussed the French Impressionists, but it also delved into the seedy backstage activities of the Paris ballet. The theme was dark and more suitable for a YA audience. At this point I’m leaning towards the mystery. The Bobsy Twins and Nancy Drew were my favorite series when I was in upper elementary school, and I still adore cozy mysteries today. There is built-in conflict with this genre, my weakest link in writing. My current idea: Mary Cassatt’s dog goes missing and my protagonist must try to find him. I will try to put some meat on the bones this week to see if it is a viable storyline. Slowly but surely I am returning to my old routine. I hope I can keep it up. Next week begins Daylight’s Savings time. I’m looking forward to later sunrises and sunsets, which means summer is practically here. I did book reviews when I first started my book blog, but have fallen aways since, and to be honest, I don't miss them. I'd rather just talk about books generally, but six sentence reviews sound good. I hope that format works for you. I know we've discussed it elsewhere, but I am continuing my gratitude journal, one of the spiritual journaling practices you discussed earlier in the week. In a way, it is my evening entry as I start the day with "in the morning" from the daily devotions section for individuals and families from The Book of Common Prayer. I really love this idea of starting the day with morning devotions and ending it with gratitude. I'm so glad this is working well for you, Bryan! I've started doing some shorter reviews, too. I'm so far behind in 2016. And I only caught up in 2015 because I was determined to get the reviews done in the same calendar year. I like your mystery idea — what a fun way to learn about Paris and painters! I'm even worse…I've never written lengthy book reviews. One year I did nothing but write haiku-ish reviews. That, I've found in recent years, was too short to even remember the main ideas of a book and I've often wished I had written a little more than that. Still, I'll never write long reviews; it's just not me. I use to do short concise book reviews when I started my blog, but then I guess I felt obligated to get more wordy. I have seriously been thinking about getting back to the shorter reviews because then it's just more fun that way. And after reading up on the A-Z challenge, which I think might be too much of an obligation for me and full time work, I think that would spur some fun topics on the blog. I might have to think some more about doing it, it just sounds like so much fun! I love your writing ideas! 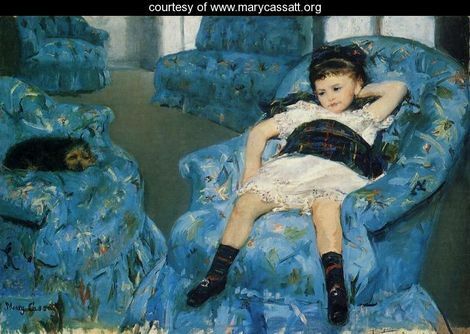 Especially the Mary Cassatt missing dog! Very clever! We haven't had much winter either. I'm grateful for the warm weather and hoping it doesn't mean summer will be unbearable. I can see why your revisions are taking so long but stick with it! I hope to be buying your book one day. I don't like writing full reviews any more either. I've mostly embraced a "Book Brief" style which works better for me. Can't wait to try your Cappuccino Chip Muffins. And I'm glad you mentioned Daylight Saving Time… didn't realize it was coming up so soon! I'm glad to hear you like the mystery idea… I'm excite to flesh it out and see what results. I LOVE your reviews, Deb… perhaps because they are concise. Thank you for those kind, encouraging words, Kay! I'm glad you like the mystery idea, Suzanne! Book Brief… I like that term, and I adore your reviews, JoAnn! Welcome back Molly. I hope you enjoy blogging again — sounds like the short reviews might be the solution. I don't write very many in-depth book reviews either — I like short and sweet. I read so slowly these days, I can['t write a book review a day as some might.And I also don't write a full review of each book I finish. 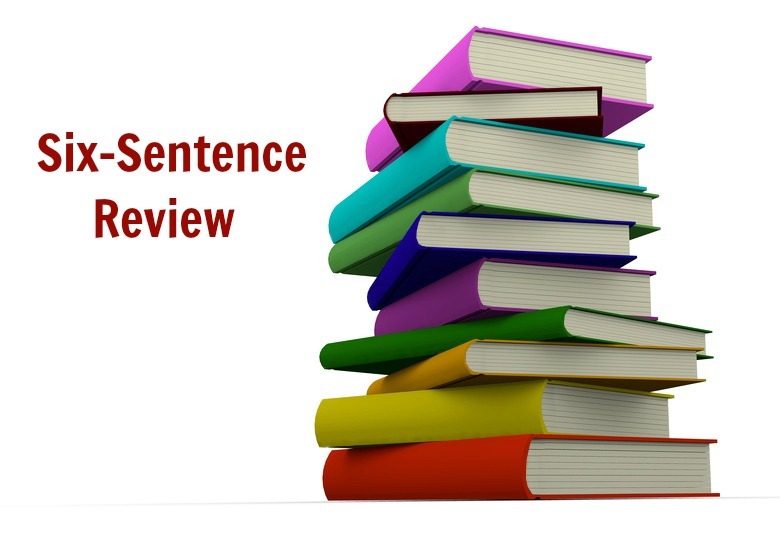 The six sentence review seems like a good idea! I miss Staci's blog. 🙁 But I understand. Life has a way of running in its own direction and taking us with it. I am happy you are going to be talking about your reading more. Reviews aren't necessary. That's one of the great things about blogging–being able to write whatever you want, however you want. I like your mystery idea. I have always gravitated towards mysteries as a child, even in my own stories. While I would be grateful if others read them, I really want to do this for myself. After a certain age, I tend not to remember details as well as I used to… I would like to have a brief record of my reading life. Thank you… I'm excited to try this new format and see how it goes! I am in awe of your faithfulness in reviewing books – I'm hoping I can be more faithful with this short and sweet concept. I have NO idea how some write a book review a day. I admire them, but know it is not something I can even aspire to do. I will be lucky to write one a week…. Hi Molly, our paths crossed this evening as we chatted via #azchat on Twitter. I had fun, and like you, it was my first chat event. I have added myself as a follower here on your blog – I will enjoy having it appear on my dashboard reading list. 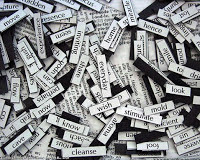 I like your blog – easy to navigate and wonderful posts. I've read several. I even went looking for your journal post on your accident. I hope you are recovering well. I had a car accident on Feb 4th and am recovering still. Ah… the joys of the 50+ body. Seems to take a moment longer than it did 10 years ago. So… regarding writing, I think it's great that you blog, and that you are partaking in 2 great challenge during the month of April. My hat goes off to you. I will only be doing one – the A to Z Challenge. I like it, and as I mentioned I generally like winging it, however this year I am on a mission to share a powerful story and to that end I have opted to have structure to my posts. I spoofed the theme business in 2015 and found myself in total stitches with my followers – we sure did have fun. If anything, my advice, with these challenges is not to take yourself too seriously. It's really all about having fun. Writing should never be a chore – that's what dishes and laundry are for. I look forward to dropping in again to see how you are mending. I'm excited to read about your story at the blog reveal – and then to see it unfold throughout the month of April.